Most years, my family put up our trusty, old artificial Christmas tree. 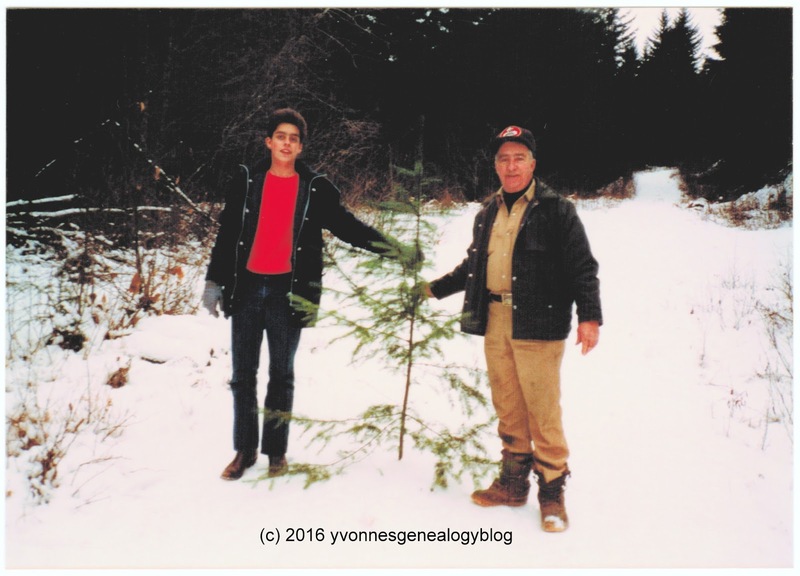 Every now and then, though, my sister, brother and I would convince our parents to trek out to the woods and get a real, honest-to-goodness tree. One year after we moved to British Columbia, we decided it was again time for a real tree. Dad got a permit to cut down a tree on Crown Land not far from town. We went up Highway 3, a few minutes east of Hope, and found the designated area with good trees. 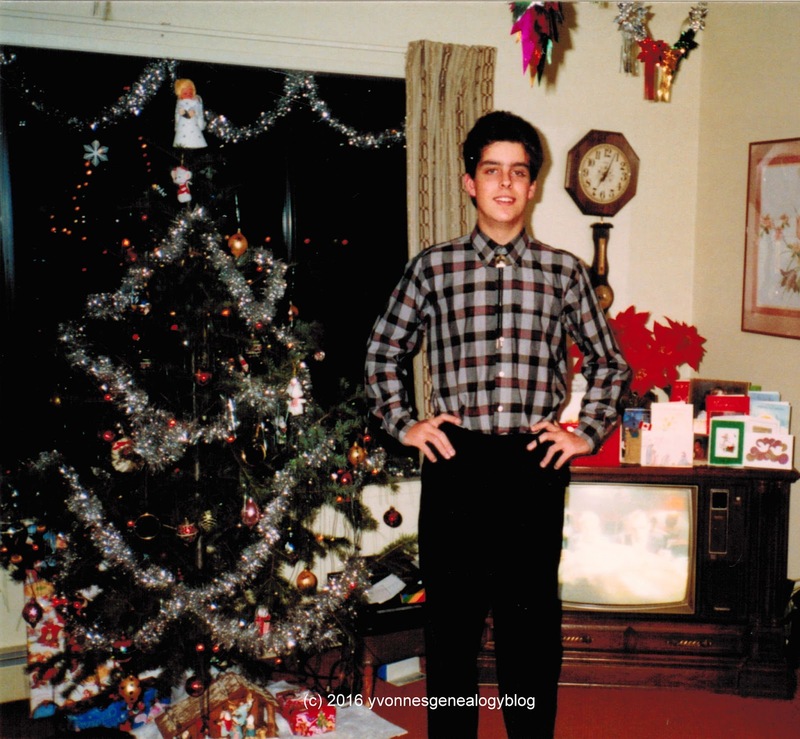 Here is Raymond with the tree, all decorated in our living room, that we eventually took home for our Christmas in December 1986.